Grandmaster Wong Kiew Kit is a grandmaster of Taijiquan (spelled as "Tai Chi Chuan" in English). He was awarded "Qigong Master of the Year" in 1997 by his peers at the Second World Qigong Congress. 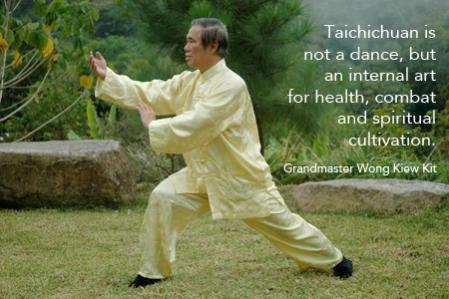 Qigong, or "chi kung" in English, is an essential part of Taijiquan. Grandmaster Wong travels over 35 countries to teach chi kung, Taijiquan and other styles of kungfu. More than 90% of Tai Chi practitioners all over the world get less than 10% of the benefits practising Tai Chi Chuan will give. This book, The Complete Book of Tai Chi Chuan, will show you how to obtain the other 90%.